Spain - a country with a high quality of life and sustainable economy. If you have the desire to buy a home in this country, you can become the owner in one of the most beautiful countries in Europe! This is a great opportunity to enjoy a comfortable climate, see medieval monuments and enjoy the rich history of Spain. House for sale in Spain - this is an excellent offer, as the detached houses are the main housing in the country. The housing market in the country has almost everything - from the cheapest bank offers to luxury real estate. Average prices in Spain are much lower than in other prestigious European countries. In addition, the country's banks give mortgage loans to foreign buyers of real estate under the loyal interest rates. You can get credit for up to 25 years. The construction in Spain, in addition to all its advantages, has an excellent quality. The country has everything for recreation and entertainment, not to mention the fact that it is one of the world's shopping centers, as there are many boutiques of famous brands. Population density is low, and it is mainly focused on the coast. Spain landscapes are so diverse so you will find something to think about when choosing. There are mountains and plateaus, rich in fruit orchards and olive groves. The most purchased property from foreigners – houses with an area of about 100 square meters on the coast. This option is good for personal residence and for renting. The most demanded regions - Valencia, Murcia and Andalusia. 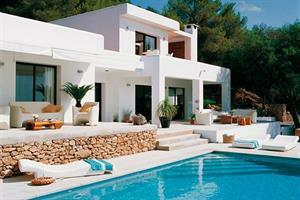 The most affordable cities on terms of real estate are Torrevieja, Denia, Javea and Marbella. The cost of detached house there – from 100 thousand to several million euros. Given that house prices in the country are quite loyal, you should only make the right choice. An additional incentive for foreign buyers of local property - the right to apply for the multiple-entry Schengen visa. The process of registration is simple and transparent, especially if you hire an experienced specialist.